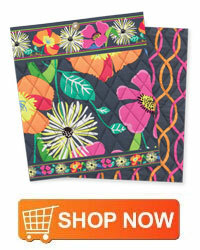 Vera Bradley introduced their new line of Spring Colors for 2013 during January, featuring the new color prints: Go Wild, Jazzy Blooms, Midnight Blues, and Plum Crazy. You can carry these bags around to brighten up any cold gloomy days during the Winter season. Go Wild revisits the timeless motif of leopard spots cleverly redesigned this classic animal pattern into a yellow and black floral design. Warm yellow flower shapes harmoniously flow through the contrasting black and white background, making this fabric the "cat's meow." Liven up your winter wardrobe with a Go Wild handbag. Jazzy Blooms celebrates an expressive and lively mix of fizzy flowers and upbeat colors of apricot, lemonade, and neon pink, bursts this floral pattern to life with its energetic colors. 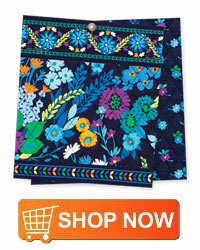 Add some energy to your day by accessorizing your clothes with a Jazzy Blooms handbag. These bright colors will make your outfit pop with confidence. 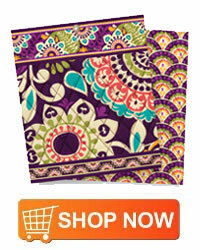 The new Plum Crazy color pattern plays homage to the stylized 1950's and 1960's prints from Scandinavian countries. 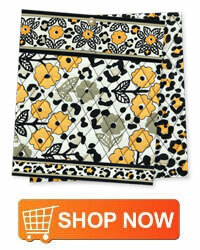 The simple two-dimensional floral decor creates a retro theme for your handbags and purses. The combination of popular Spring colors such as plum, lime green, and teal will catch the attention of any woman walking by.